Finefair has a great reputation because we offer a quality package of services to clients. This includes our work as a top lettings agent Sutton landlords can rely on. In addition we provide the best guaranteed rent in London and reliable property management. Housing supply is one of the hottest topics in the UK because there is such high demand. This pushes up prices and makes it harder for people to get on the property ladder. The solution is to increase supplies to reduce competition for properties. This is difficult though and isn’t always viable. Housesimple recently revealed new data that shows housing supply is increasing in many parts of the UK. They looked at more than 100 major destinations, including cities and towns. Overall the number of homes put up for sale in February 2019 grew by 11%. Some areas even saw growth exceed 50%. 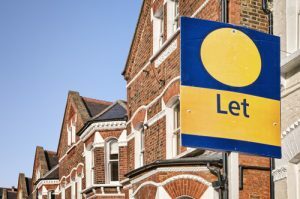 The capital has some of the highest demand for housing in the UK. It is great then that most areas saw an increase in supplies. The area with the biggest rise was Sutton with an impressive 26.8%. Havering was the next highest at 21.3%. Only three Boroughs saw a drop in supply. There are several reasons for the increase. Traditionally the number of homes up for sale does increase towards the end of winter. In addition there is the influx of new builds and people who choose to sell because they are downsizing, moving up the ladder, or disposing of assets. The latter could be due to the continuing uncertainty with Brexit. If you are looking to buy it could be wise to move quickly and lock in the best possible mortgage rate. The political landscape could cause lenders to re-evaluate the deals they are offering. Finefair is a letting agent Sutton landlords rate highly. Our services offer a great deal of value and we make sure we take care of everything. If you buy an asset you want to let, contact us for help. This entry was posted in News on March 20, 2019 by simon.